If you're already going through pigskin withdrawal, you don't have to wait until the NFL draft in April. 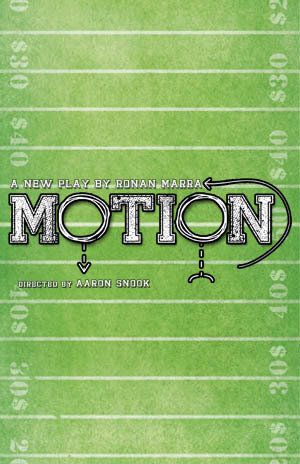 Check out Signal Ensemble Theatre's production of Motion, a less mawkish Jerry Maguire on a sandlot budget. My Flavorpill Chicago preview is here. Day 3: Can we get partial credit? "I've got no time for trivialities"
Super Bowl tickets for sale!